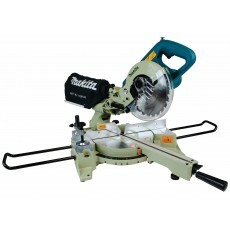 The 190mm mitre saw is the smallest sized mitre saw that we currently supply. This saw is useful for cutting smaller pieces of wood, or for use in a workshop where space is at a premium since these saws take up less room than some of the larger versions available. The key criteria needed for choosing a mitre saw is the diameter of the blade to determine the width & depth of cut. Mitre saws with this 190mm diameter blade are the smallest available.